Happy Father's Day to all you daddies, grandpas, uncles, grampies, papas, etc! As usual, I've been doing some crafts in my "free" time. Though, now Caraline is included in that time! I love it. This year for Mother's Day we made our gifts. Father's Day it was the same way. I think handmade gifts are more special than most things I could buy in a store. 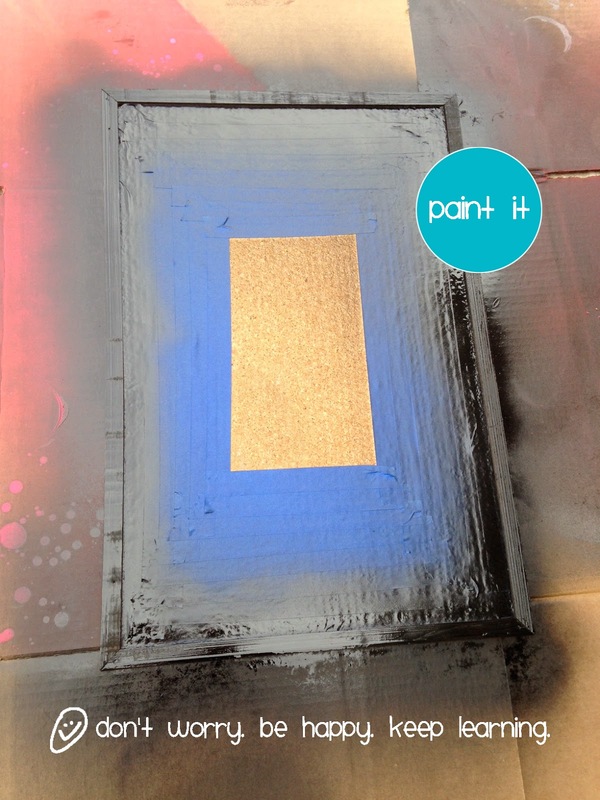 The handprint project we did for the Mother's Day canvases was challenging. 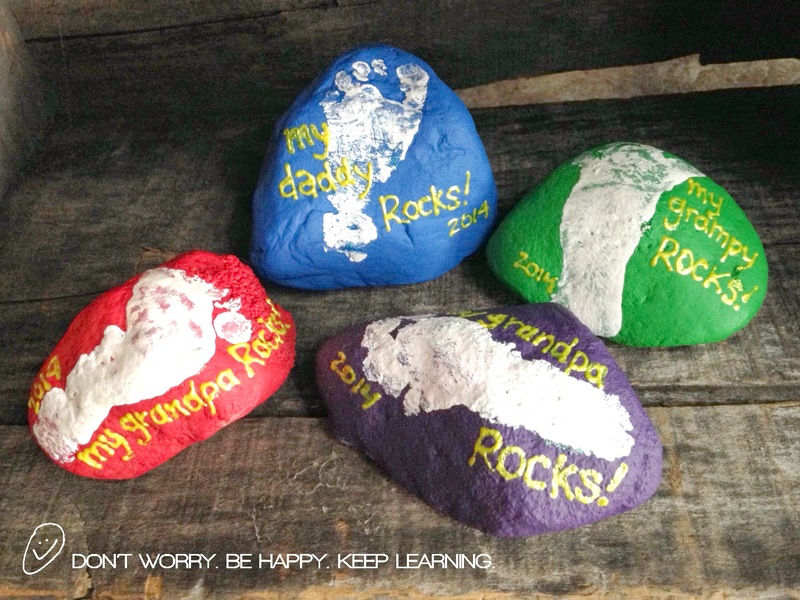 I learned my lesson and made two changes when doing a new craft with paint for Father's Day. 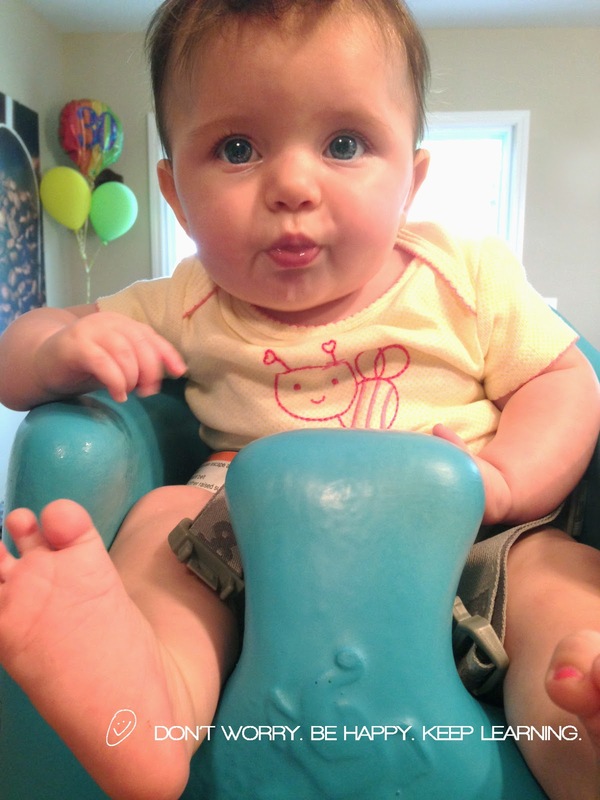 2) I put her in her Bumbo seat, so she was stuck! If you ask me, it was pretty genius. And it totally worked better. 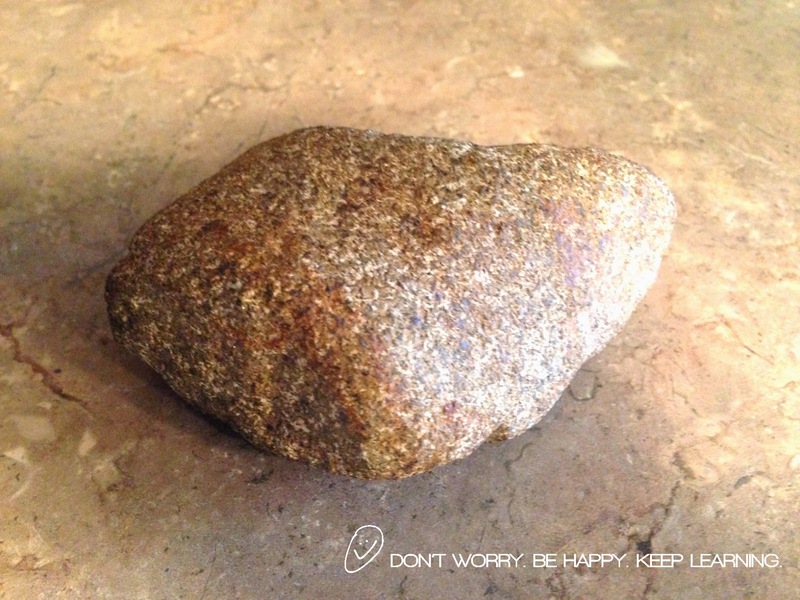 We started with a few rocks that were about the size of softballs or baseballs. I had four: One for Mike, one for my dad, one for Mike's dad and one for my grandpa. I painted them all a different solid color and let them dry. 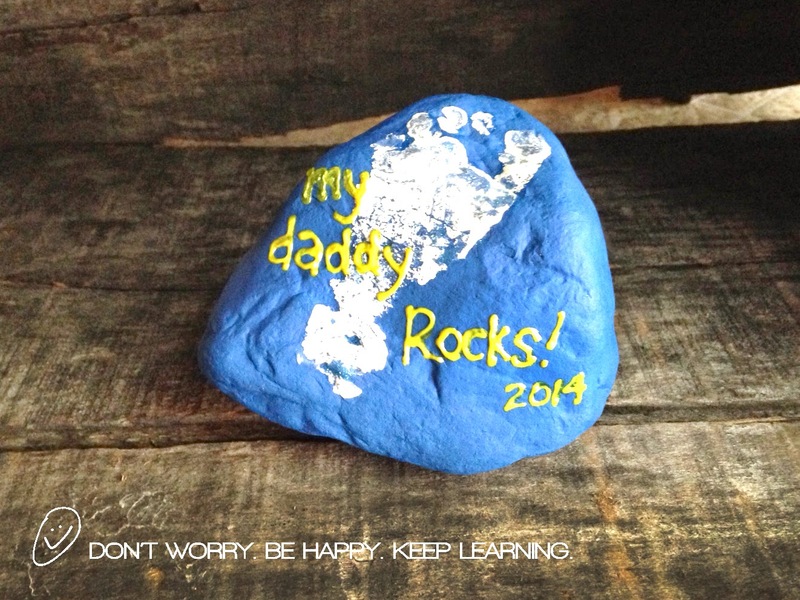 I then painted the cute little foot of my daughter and pressed each rock up against her foot. She just sat and gave me funny looks. 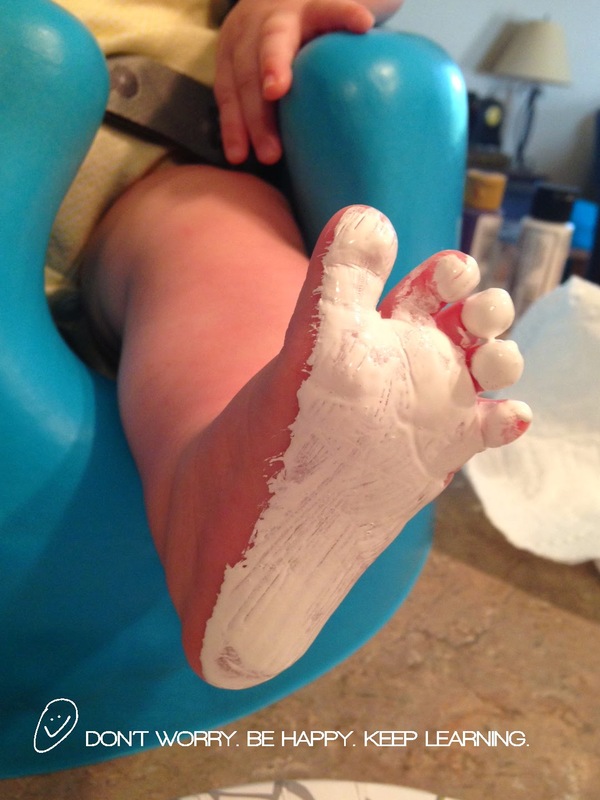 I'm sure it felt strange to have paint on her little toesies. The blue rock that was for Mike turned out the best. It was the cleanest print out of all of them. 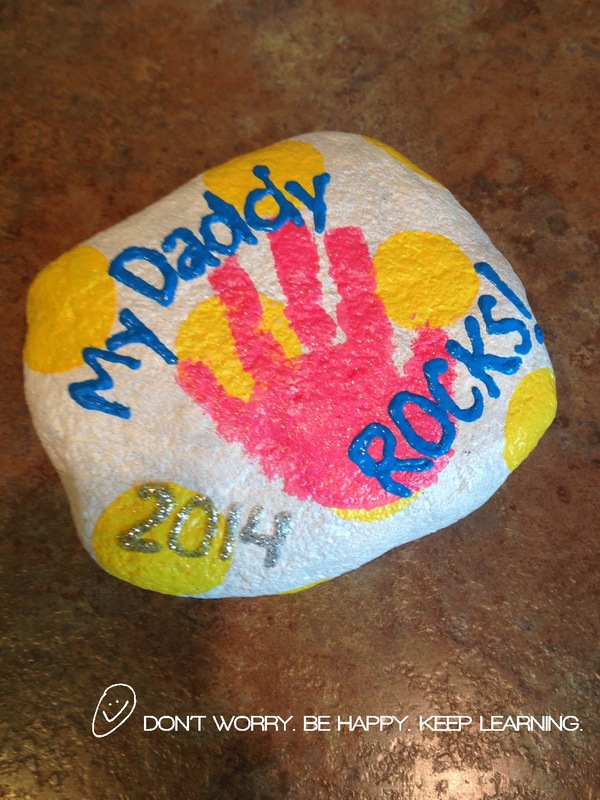 After all the footprints had dried, I added glitter paint to the white prints and later wrote with puffy paint. And even though the other prints were not perfect, I still love how they turned out. 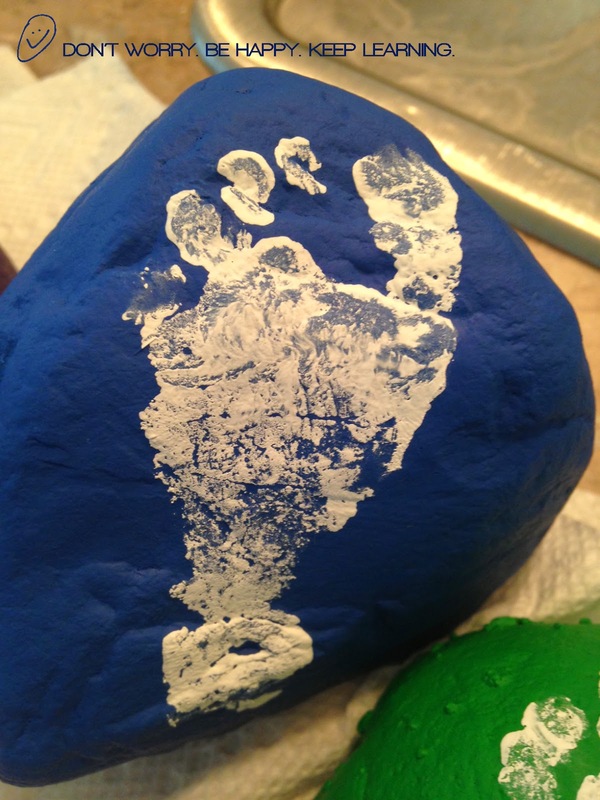 My friend Kristi did the same thing for her husband with her daughter Kinley's hand print. She gave me permission to use a photo of how hers turned out. I love the polka dots she made! So cute! The footprint craft wasn't the only gift I had handmade for Mike this year. 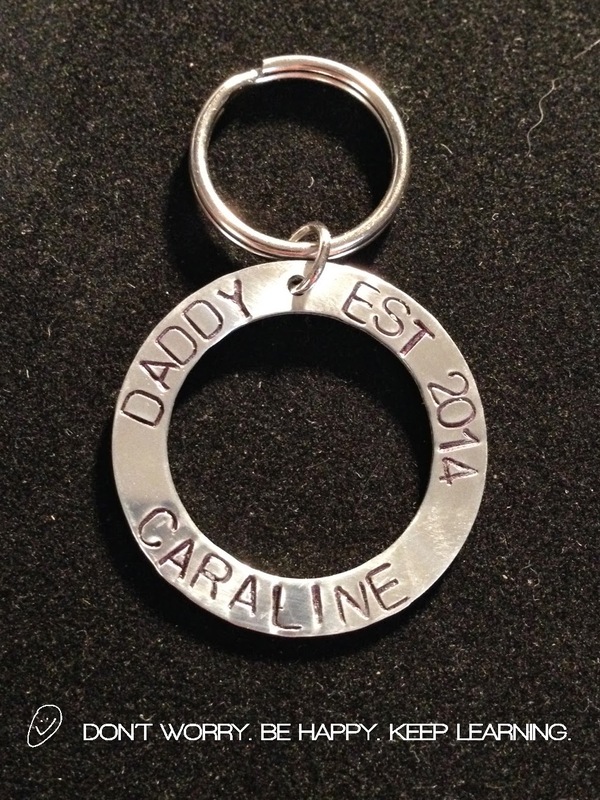 I also commissioned my friend D'ann with Creative Metals by D to have a keyring made for him. I just love it. And it's so special. D'ann is so talented. Happy Father's Day, my friends! at 3:00 AM 1 Comments Topics: Baby Deak., Blog., Crafts. 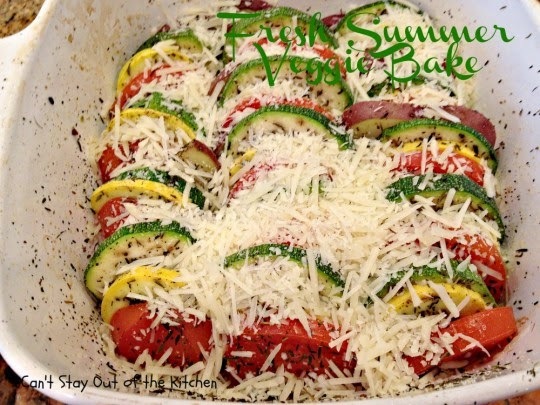 at 11:31 AM 0 Comments Topics: Blog., Recipes. Caraline is four months old. "Time flies" sure is accurate. It seems like just yesterday we brought her home from the hospital. She's so fun these days. She giggles at surprising things (like her cousin Audra saying "boo" to her) and she gets so excited when she sees daddy and me first thing in the morning and when I pick her up from the sitter after work. Her gummy grin captures me like nothing else. I just love her so much. at 11:08 AM 0 Comments Topics: Baby Deak., Blog. We have a stainless steel refrigerator. We have lots of photos of family and friends. We don't want to clutter our frig with said photos. So what's a family to do? Well . 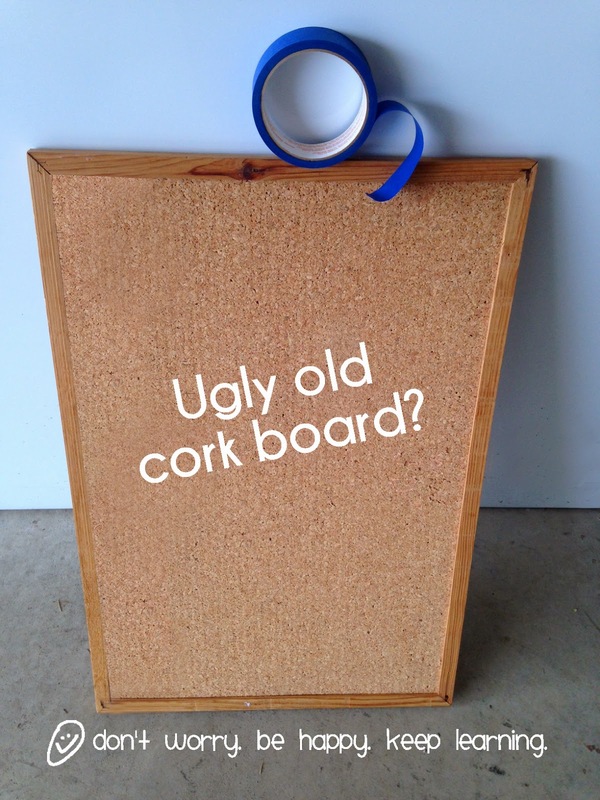 . . while going through old boxes in our garage, I found a cork board I used in college 2,452 years ago. It was boring then. It was boring when I found it. The choice was to trash it or make it beautiful. I chose to make it beautiful. 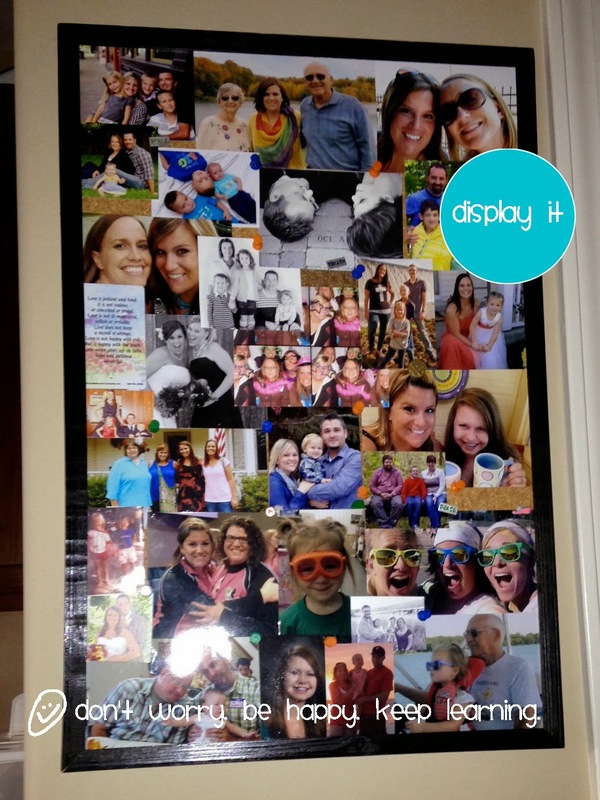 And to utilize it for displaying our bunches of photos in our kitchen. 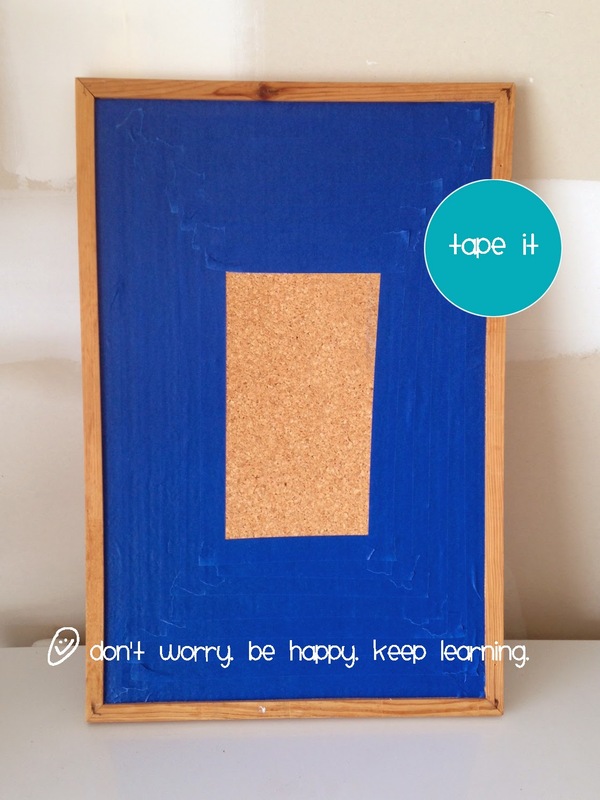 I used blue painter's tape and black spray paint. That's it! Okay, now go make something new again. 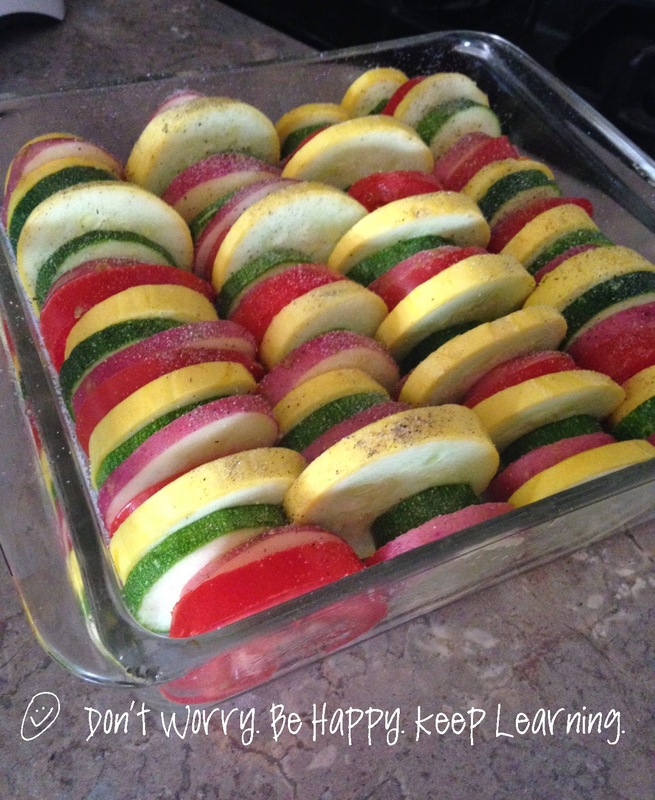 at 4:16 PM 0 Comments Topics: Blog., Crafts., DIY., Handy Tips., Organization.